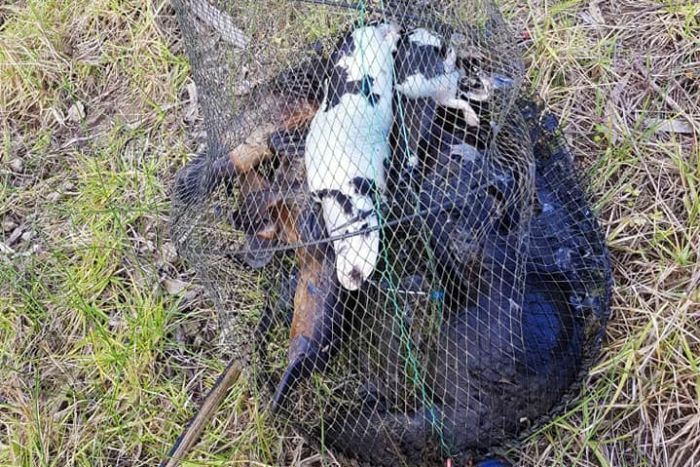 Eight dead platypuses have been found in a bait trap by a group of teenagers who were clearing rubbish from a river in Melbourne’s west over the weekend. 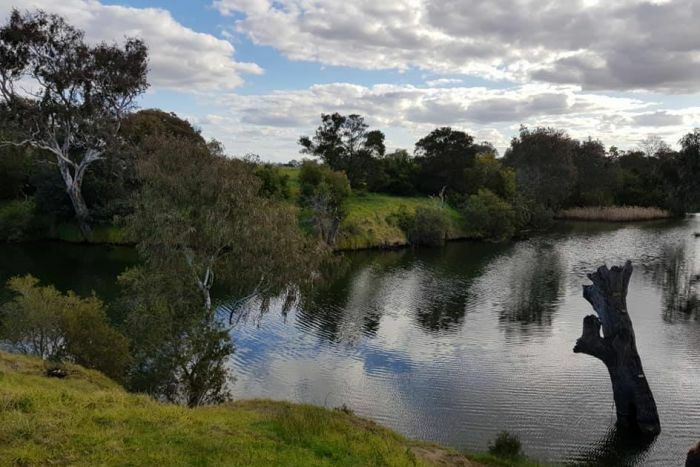 Three girls were kayaking down the Werribee River on Saturday morning when they pulled the net from the water near the Davis Creek junction. “They came up to the side of the bank and pulled up the rope and were of course horrified by this,” riverkeeper John Forrester said. “One or two of [the platypuses] had been in the water for quite a few days… and so some of the carcasses had lost quite some hair, so hence as you might see on the photo, some of them are white — that’s their flesh. Mr Forrester said he suspected the net may have been set up to catch yabbies in the public waterway. “The yabbies might be the intention of the net fisher, but unwittingly of course, platypus come in chasing the yabbies and naturally once inside that small cone at the top of the net, the platypus can’t get out. “And of course they drown — they can last up to about two minutes, much like a human being in the water, without breath — but they must get out and they just can’t because the surrounds of the net from inside are completely sealed of course. Mr Forrester was concerned the type of net used was similar to one which is banned from use in public waterways. In July Victoria banned the use of opera house yabby nets, which are believed to be responsible for killing hundreds of platypuses each year. Mr Forrester said the deaths were proof that greater enforcement is needed. “Parks Victoria, or even local enforcement officers who have these powers such as fisheries and wildlife and so on, aren’t many on the ground,” he said. The Victorian Fisheries Authority has been notified of the deaths. This entry was posted in Trapping and tagged australia, trap by Exposing the Big Game. Bookmark the permalink. So many deadly nets in the ocean and in waterways. It’s time to ban most if not all of them. Too many people, too little earth. Continual monitoring and inspection and finding illegal nets such as this one along with all the other ghost nets drifting free and killing on a mass scale… and clearing them out of the waters must be one of the very highest missions for a legitimate Wildlife Services department in the US and around the globe.